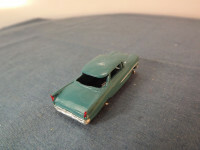 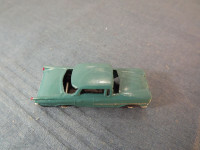 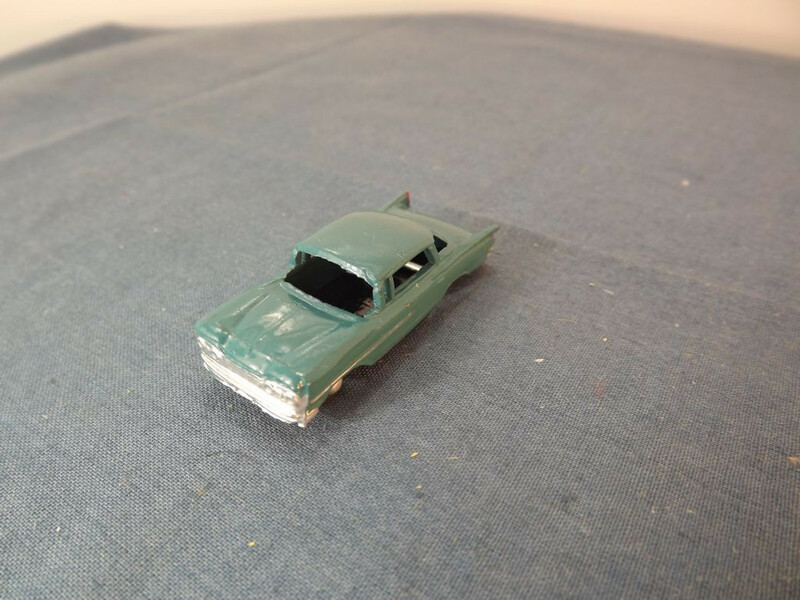 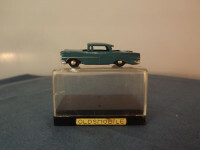 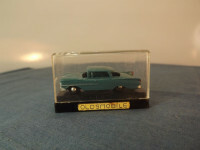 This model is the AHI Oldsmobile (1959) in blue. 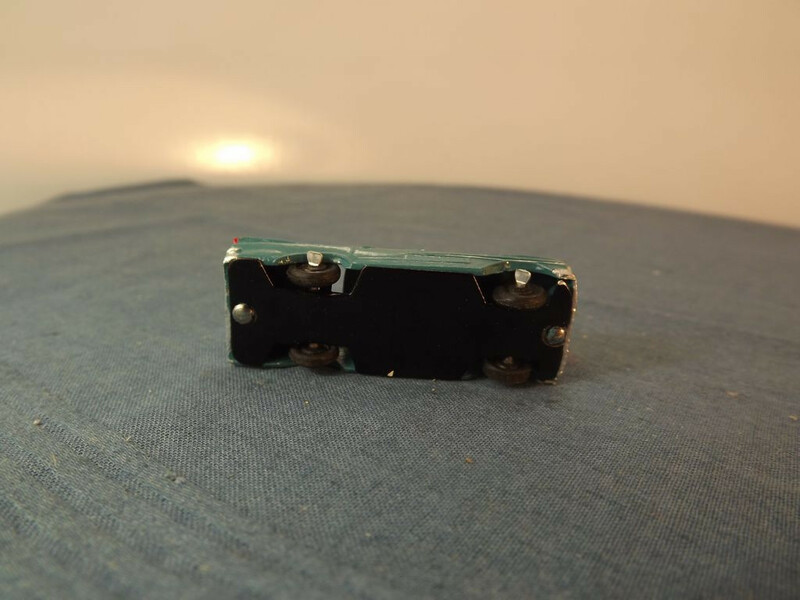 The baseplate has the manufacturer's mark "AHI Brand Toy" and country of origin "JAPAN" stamped in to the tin base. 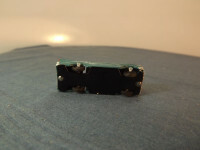 It is held in place by two machined rivets.